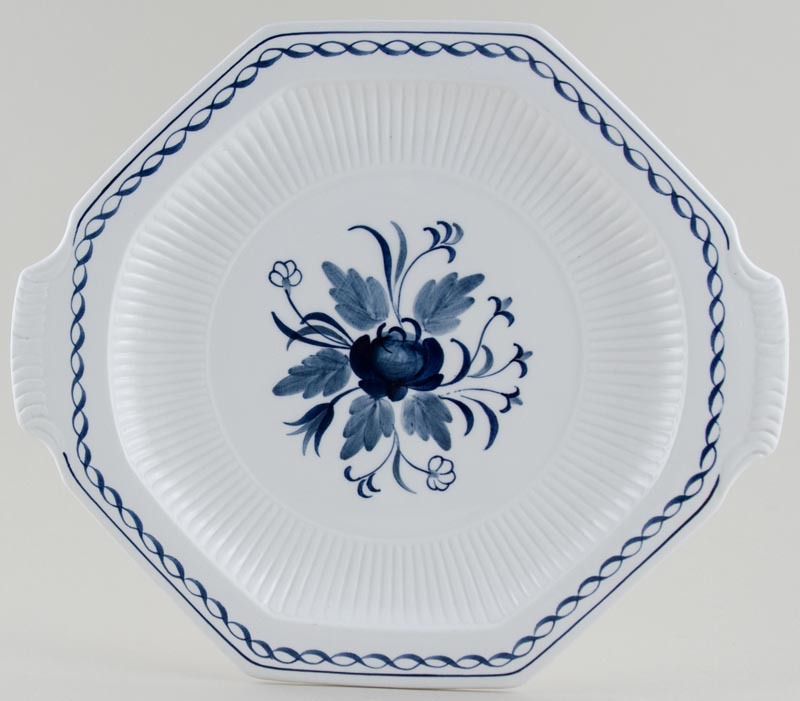 A lovely plate with two side handles. Backstamp: Baltic Adams Real English Ironstone Est 1657 England Micratex Decoration Completely Underglaze Acid and Detergent Proof. A couple of minor manufacturing blemishes on the back otherwise excellent condition. OVERSEAS SHIPPING OUTSIDE EUROPE Owing to the size of this item a supplement of � about US$27 will be added to the standard overseas shipping charge.